Models created by Ondel Hylton. 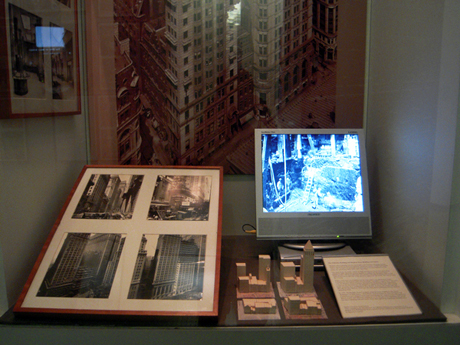 Video compilation the demolition of the Gillender Building and construction of the Bankers Trust Building and Annex, created from the collection of The Skyscraper Museum by Nicholas Crummey. Multiple office buildings and two skyscrapers, the Gillender Building and the Bankers Trust Tower, have occupied the northwest corner of Wall and Nassau streets. The models here illustrate four moments in the development of this prime site and block: 1852, 1879, 1897, and 1916. Twelve years later, the building and lot were sold to the Manhattan Trust Company for the highest price ever recorded, over $800 a square foot. The same year, the Bankers Trust Company absorbed the Manhattan Trust, negotiated a lease on the adjoining lot, and decided to replace the Gillender with a much larger structure on a combined lot 93 x 96 feet. At forty-one stories and 540 feet tall, the new Bankers Trust was the fifth tallest building in the city when it opened in 1912. 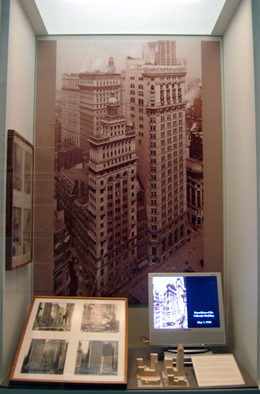 In 1931, the Bankers Trust Company acquired three neighbors: the Astor Building at 10 Wall Street, 7 Pine Street, and the Hanover National Bank and constructed an L-shaped annex that surrounded the original tower. Designed by Shreve, Lamb and Harmon, architects of the Empire State Building, this lavish Art Deco banking hall and annex more than tripled the building's rentable area.